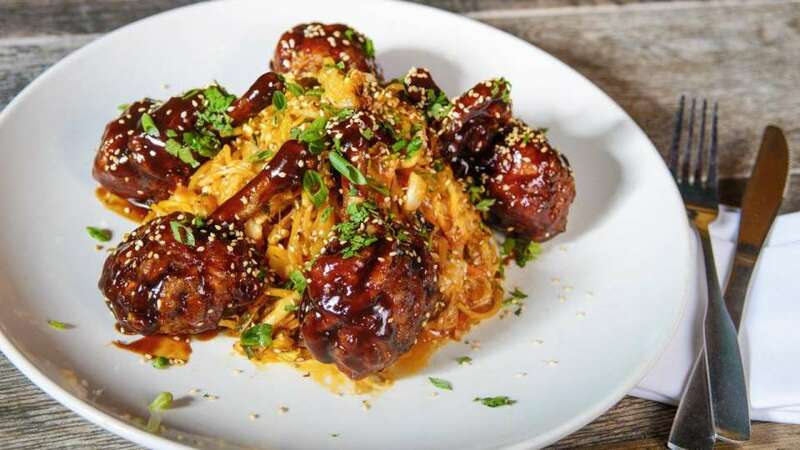 Tom's Urban literally has something for everybody with its unique and eclectic blend of the world's favorite street foods. 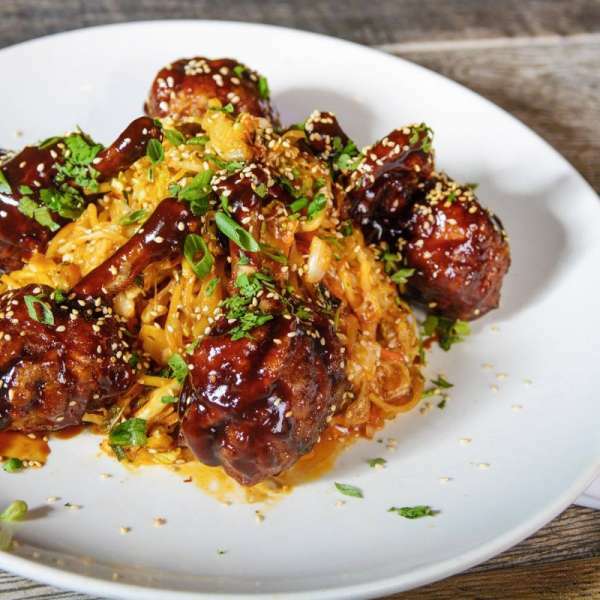 From signature dishes such as the Slopper and Asian Crispy Duck Wings, to America's favorite streets food like burgers, buffalo wings, sandwiches, and more, there's something for everyone. 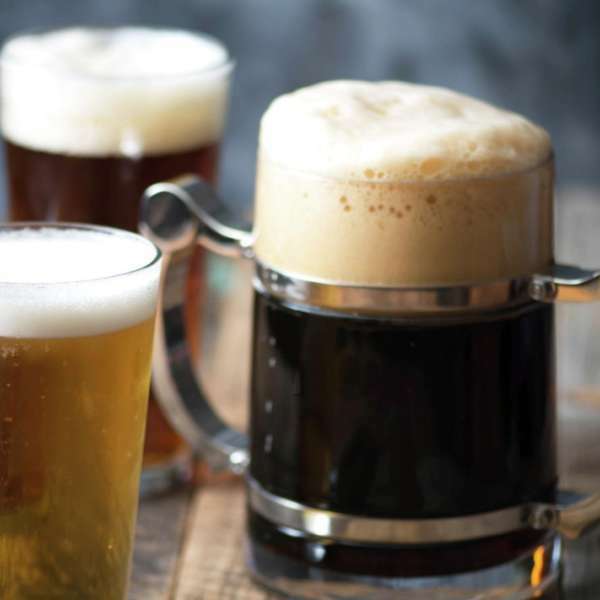 In the mood for a drink, Tom's Urban bars are the best "watering holes" on the Strip with a great selection of handcrafted cocktails, craft beers, fine wines, and signature "to go" drinks. Hand breaded crispy fried pickle chips, green chili ranch. Adobo chicken or marinated steak tenderloin, tortilla chips, cheese, pico de gallo, fresh jalapeños, cilantro crema, guac. 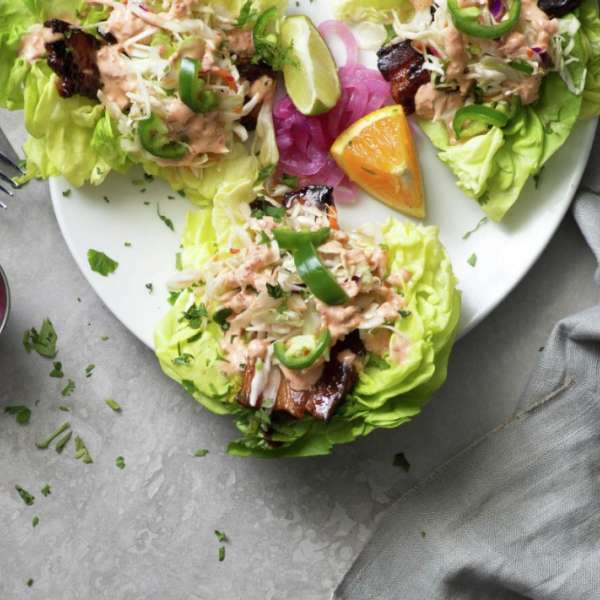 Chargrilled Adobo chicken or marinated steak tenderloin, guac, pico de gallo, cilantro, queso fresco, pickled onions, cilantro crema, lime & orange. House-made pork belly, chili lime Asian slaw, pickled onions, Sliced jalapeños, cilantro, chili mayo, lime & orange. Crispy cornmeal dusted whitefish, guac, pico de gallo, cilantro, crunchy cabbage, pickled red onions, lime & orange. 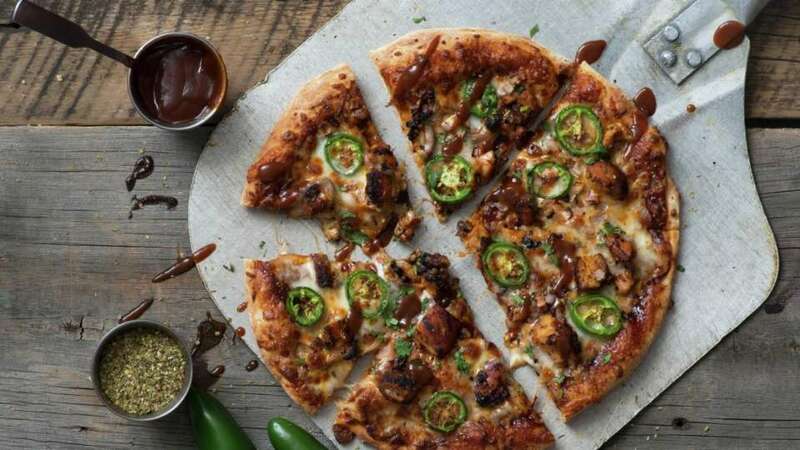 Kansas City BBQ sauce, chargrilled chicken, Asadero, cheddar jack, romano, and parmesan cheeses, red onions, cilantro; add sliced jalapenos for a kick. “Philly” style shaved prime rib, havarti, horseradish cream, butter-toasted brioche roll, beef demi-glace. 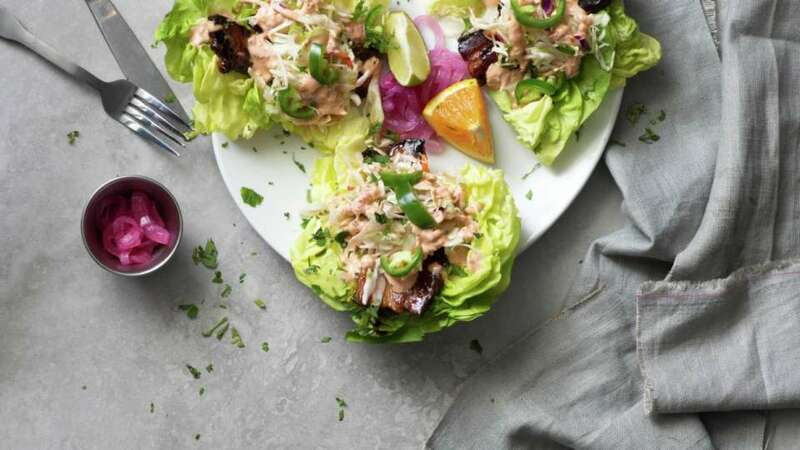 Cracked lobster, chopped celery, green onions, fresh lemon, mayo, Applewood smoked bacon, butter lettuce, tomatoes, butter-toasted brioche roll. Romaine & baby kale lettuce blend, shaved parmesan, Caesar dressing, lemon, house-made croutons. 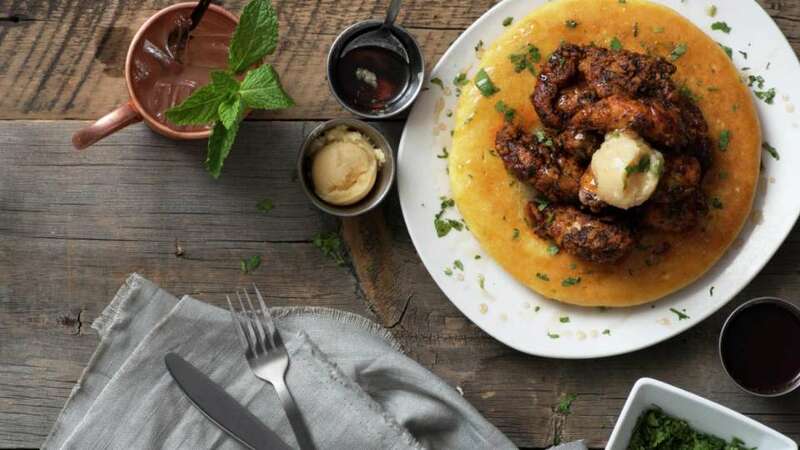 Jumbo grilled shrimp, cajun spices, creamy cheddar grits, pork belly. 16 oz. thick-cut New York strip, perfectly seasoned and chargrilled to order. 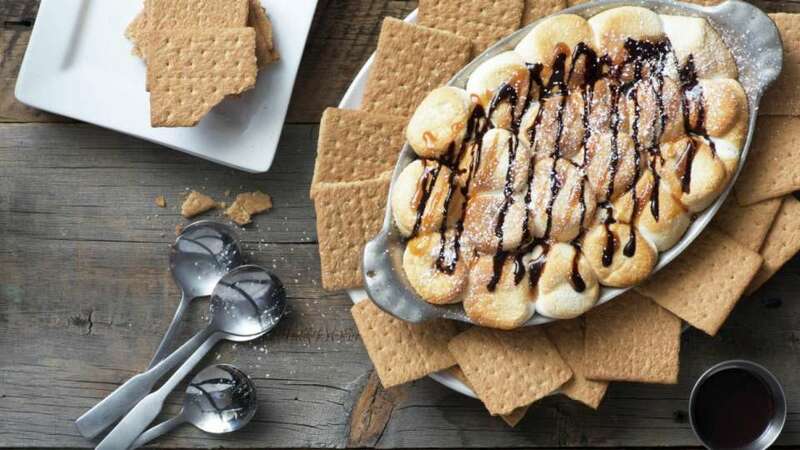 Oven-baked skillet with brownie batter in one half and chocolate chip cookie dough in the other, topped with toasted marshmallows, salted caramel sauce and chocolate sauce; side of graham crackers. 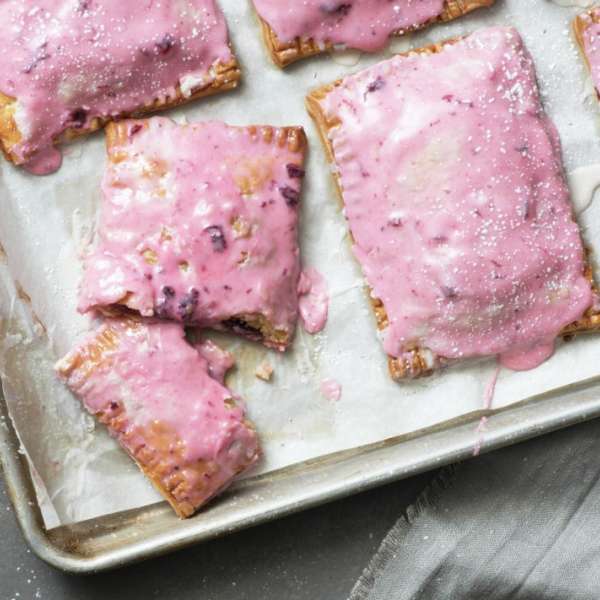 Our house-made spin on the old classic, with a flaky crust and delectable fruit filling. *Thoroughly cooking food of animal origin such as beef, eggs, fish, lamb, milk, poultry, or shellfish reduces the risk of foodborne illness. Individuals with certain health conditions may be at higher risk if these foods are consumed raw or undercooked. 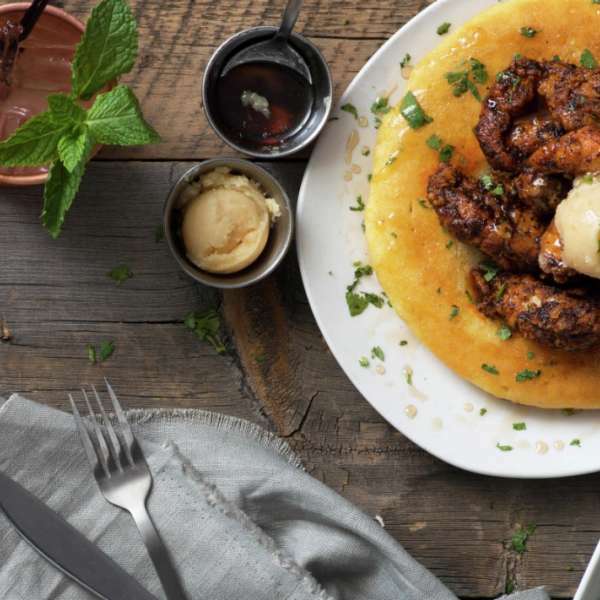 Sweet cornbread pancake, batter-fried original crispy or Nashville hot chicken, salted caramel butter, side of maple syrup. Two eggs your way, choice of Applewood smoked bacon or pork sausage links, butter-toasted wheat or sourdough, preserves; comes with one side. 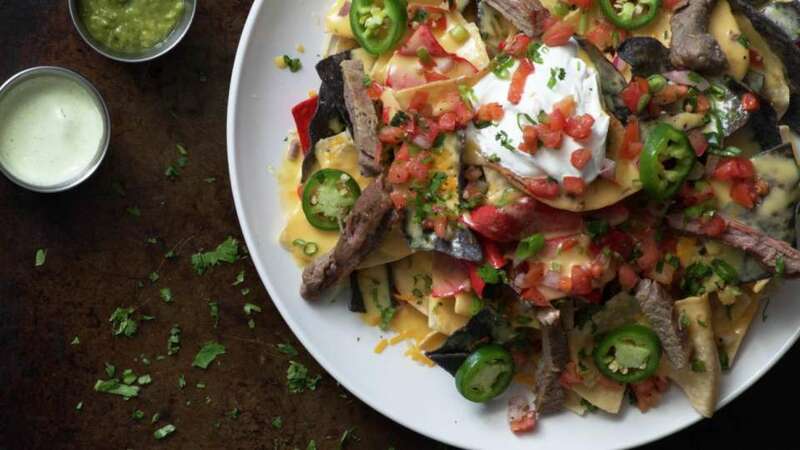 Scrambled eggs, cheddar & jack cheeses, your choice of bacon, sausage, carnitas, Adobo chicken or marinated tenderloin steak; smothered with pork green chili, topped with queso fresco, cilantro crema, and pico de gallo. Flour tortillas topped with refried beans, Asadero cheese, pork green chili, pico de gallo, queso fresco, and two eggs any style. 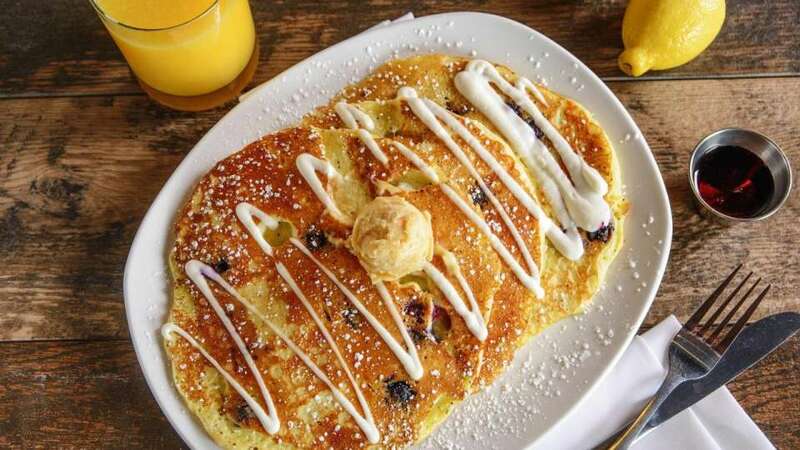 These pancakes make it hard for other pancakes to get up in the morning! Served with sweet cream. Three perfectly light and fluffy pancakes, with butter and plenty of maple syrup. Nothing beats a classic. Challah bread with a hint of orange and cinnamon, topped with a caramel drizzle and salted caramel butter; side of maple syrup. Avocado, roasted mushrooms, diced tomatoes, cheddar & Swiss cheeses topped with cilantro crema. Applewood smoked bacon, pit-smoked ham, pork sausage, cheddar jack. Tomato, red pepper, roasted mushroom, onion, baby spinach, cheddar jack. 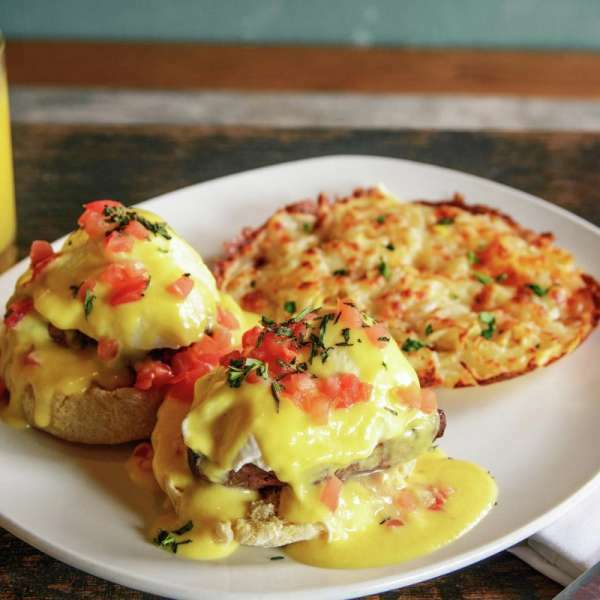 Served on an english muffin with asadero hash browns, cheddar grits or a romaine kale side salad. Pit-smoked ham, poached eggs, Hollandaise sauce. Sliced fresh avocado, poached eggs, Hollandaise sauce. 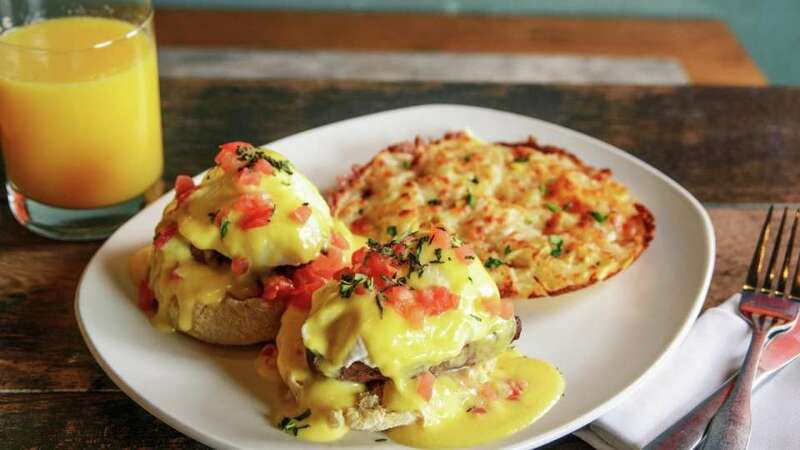 Pork carnitas topped with roasted poblano peppers, jack and cheddar cheeses, poached eggs and green chili Hollandaise sauce. Applewood smoked bacon, two fried eggs, fontina, brie, havarti, Croatian fig jam on grilled sourdough. Choice of Asadero hash browns, cheddar grits or a romaine kale side salad. Authentic carnitas, pit-smoked ham, Asadero hash browns, two fried eggs, Swiss cheese, yellow mustard, pickled onion and kosher dill, piled inside butter-toasted sourdough. Crispy bacon, two fried eggs, American cheese, sliced tomato, lettuce and mayo on butter-toasted sourdough. Choice of Asadero hash browns, cheddar grits or a romaine kale side salad. Ask your server about tom’s secret stash! Sailor Jerry Spiced Rum & Lemonade. 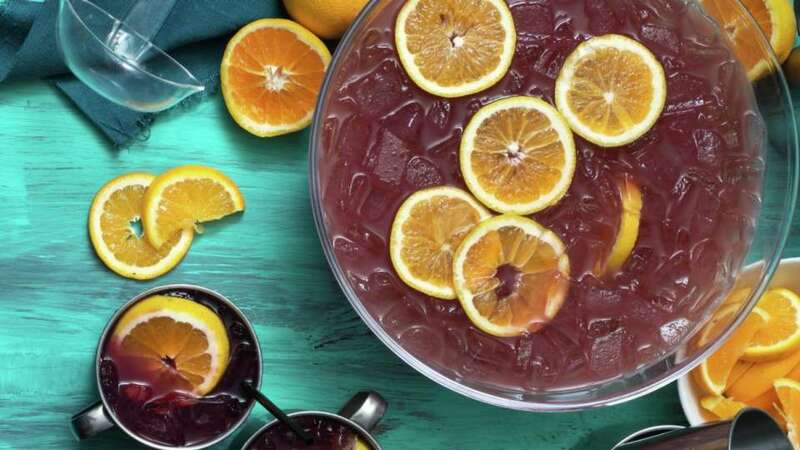 Choice of flavor: original lemonade, grapefruit, passion fruit or blueberry. New Amsterdam Vodka, house-made ginger brew, fresh mint. Choice of flavor: original vintage mule, watermelon or blueberry. Familia Camarena Tequila, simple syrup, fresh lime juice, salt rim. Choice of flavor: original jailhouse rita, blueberry or grapefruit. Red Wine, brandy, peach schnapps, orange juice, cranberry juice, apple juice. 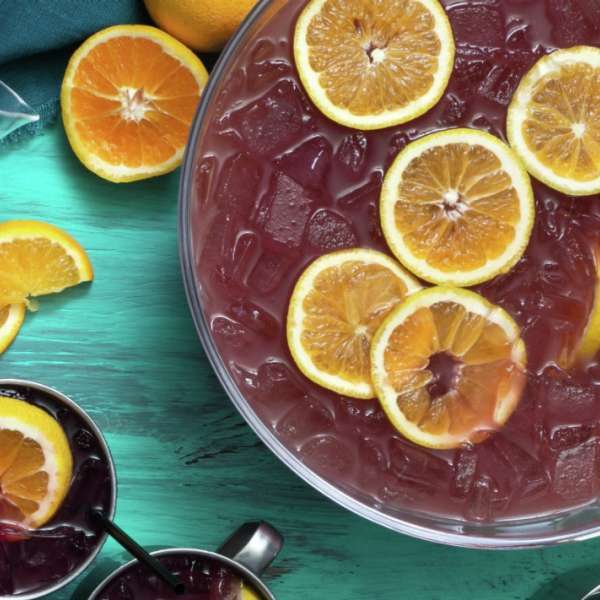 Share a punch bowl at Tom's Urban with your friends! 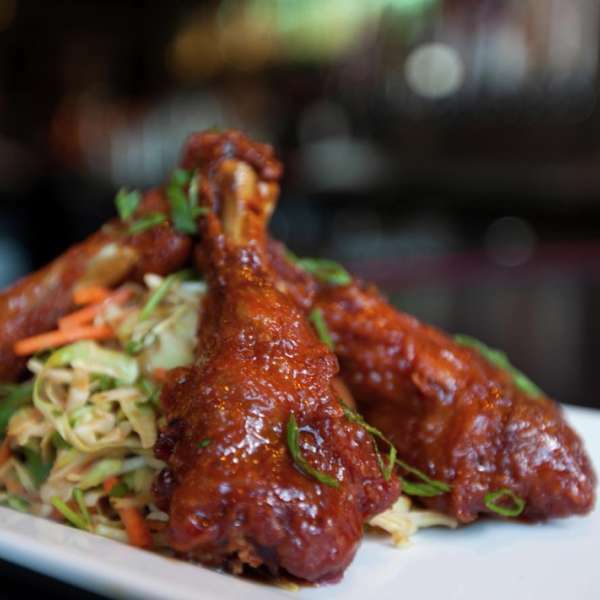 Enjoy all the flavors at Tom's Urban! 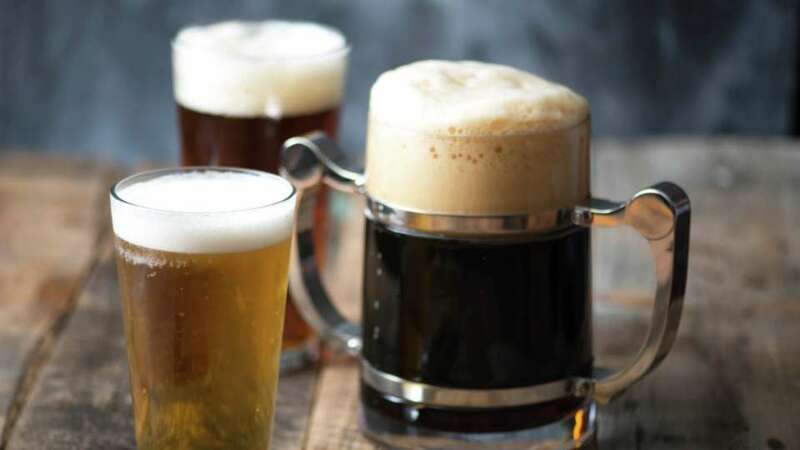 Let loose and enjoy a beer at Tom's Urban! 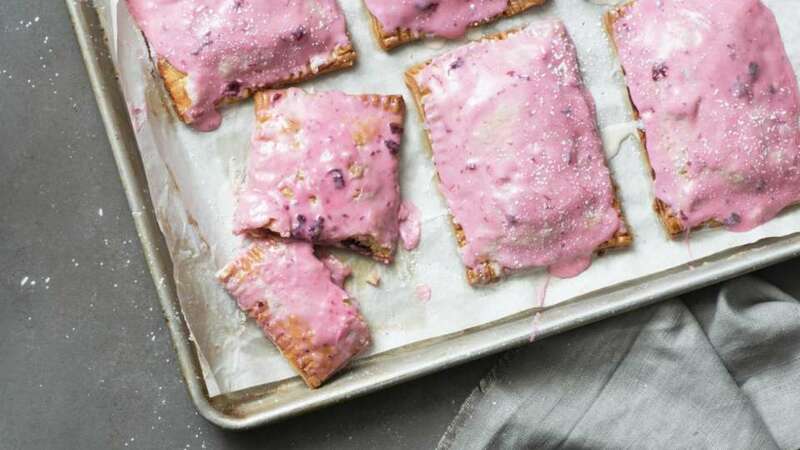 Cure that sweet tooth with one of our pop tarts! 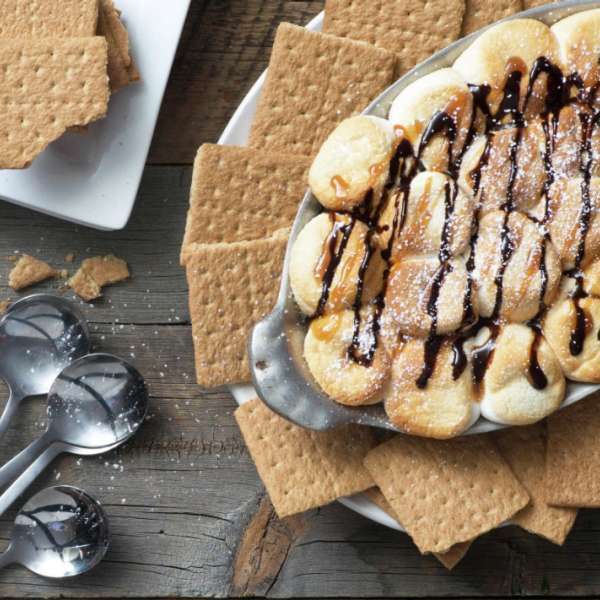 You know you want smore! 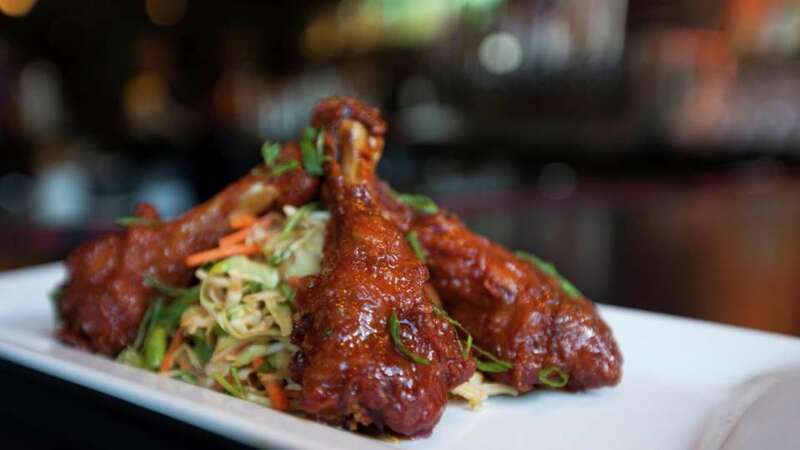 Enjoy duck wings at Tom's Urban. 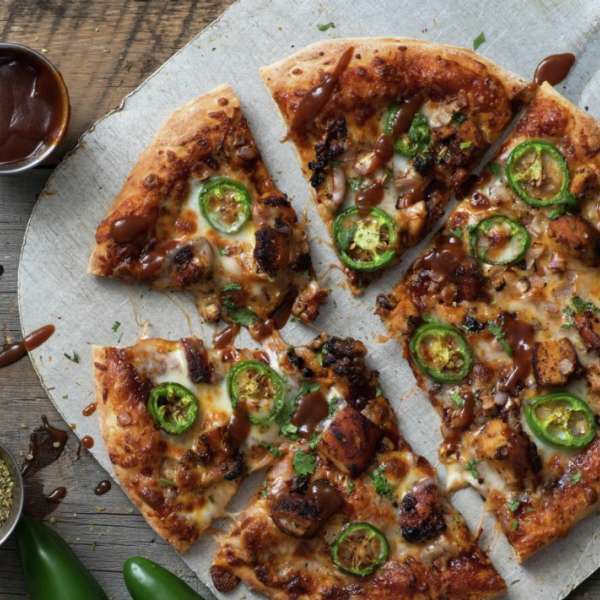 Have a slice of our sweet and spicy BBQ pizza! We have all the comfort food you'll want. 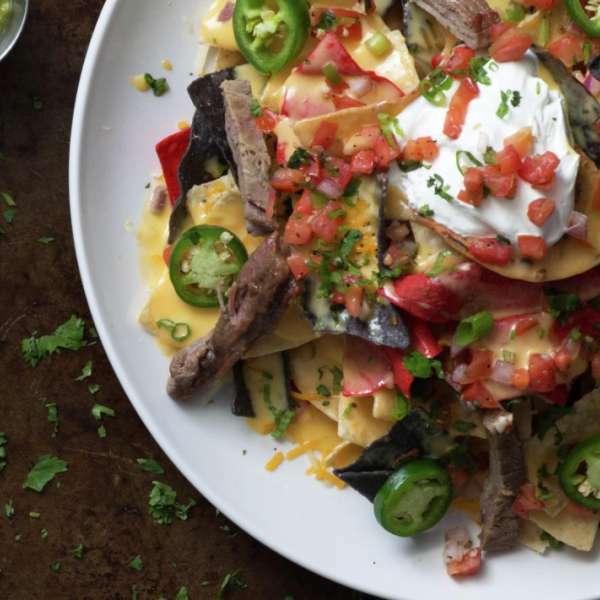 Indulge at Tom's Urban with our nachos platter! Sight. Sound. Taste. Tempt All Your Senses. Begin the night at Tom's Urban and make it a happy ending with tickets to Zumanity by Cirque du Soleil. This Dinner & Show package starts at $89 per person, which includes a $40 credit at Tom's Urban! Call 866.606.7111 or visit the Box Office to purchase tickets. Take the escalator to Casino Floor, and then take the carpeted walking path located across from the front desk. This path will take you around on the outskirts of the Casino floor. You will pass Stupidiotic, Swatch, I LOVE NYNY. 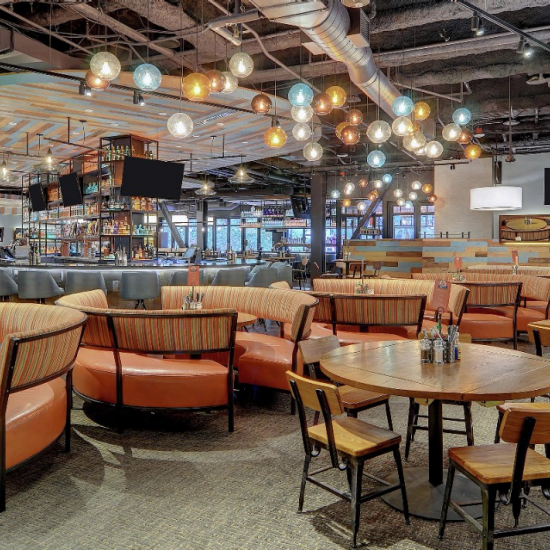 Tom’s Urban will be located across from the Sports Book. Take the parking garage hallway towards the Big Apple Coaster and Arcade. Pass Nathans on your left and take the escalator on the left down to the Casino Level, and then take the tile walking path to the left. This path will lead you towards Bar At Times Square. 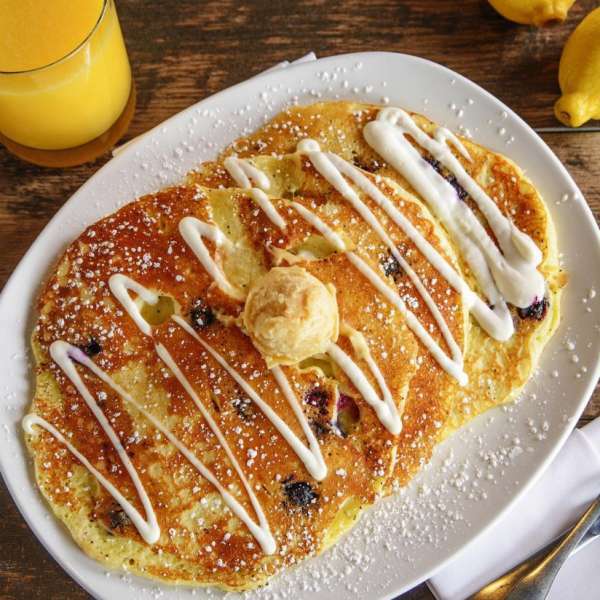 Keep walking straight towards 48th & Crepe, Tom’s Urban will be located across from the Sports Book. If you are facing the Front Desk, go right towards the Century Elevators. Take the tile path towards Bar At Time’s Square. Keep walking straight towards 48th & Crepe; Tom’s Urban will be located across from the Sports Book.